These colors will cover large areas quickly. Also great for detailed painting, sgraffito, watercolor effects, wax resist, and mishima decoration. AMACO LUG's may be brushed on wet clay, greenware, or on mature cone 04 bisqueware. •Can be applied to unfired clay or bisque. 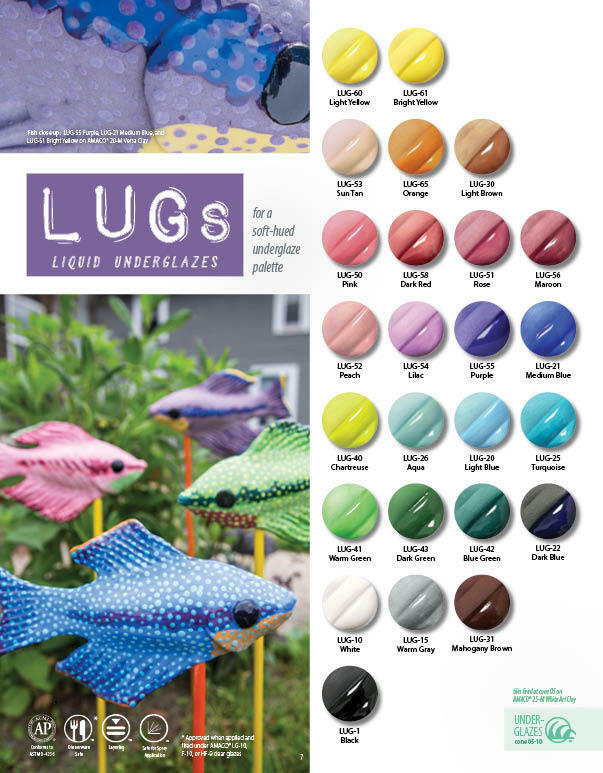 Here is a downloadable PDF of the LUG page from the 2015 glaze brochure. To shade, tint, soften, or change a color of these underglazes, simply mix them!